The Deck was a GOTL restaurant in the 1940s. Bud and Ella Evans were operating in 1946. 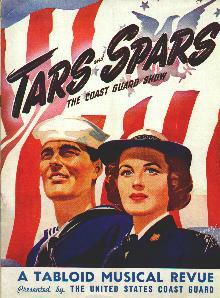 In a Beachcomber article, the Evans’ claimed that they had toured with Victor Mature during 1944 and 1945 in the musical revue “Tars and Stars.” Mature was enlisted in the U.S. Coast Guard at the time and presented the revue as a recruitment vehicle. Bud Evans claimed that he had a role in the film version of “Tars and Spars,” being one of only 18 actors from the 70 original cast members to appear in the film. But the Internet Movie Database does not support that claim. Evans also claimed to have a role with Rita Hayworth in “My Gal Sal” and that “at one time they were very much in love, but it was just one of those things, it didn’t last,” he told a reporter in 1946. His claim of being in the film is not substantiated by the IMDB’s listing of the film, which includes uncredited cast members. He said he visited Mature’s home in Louisville, Ky., and the star’s mother prepared a marvelous chicken dinner for them. Evans also rented speed boats and rubber boats from The Deck’s location on the beach.